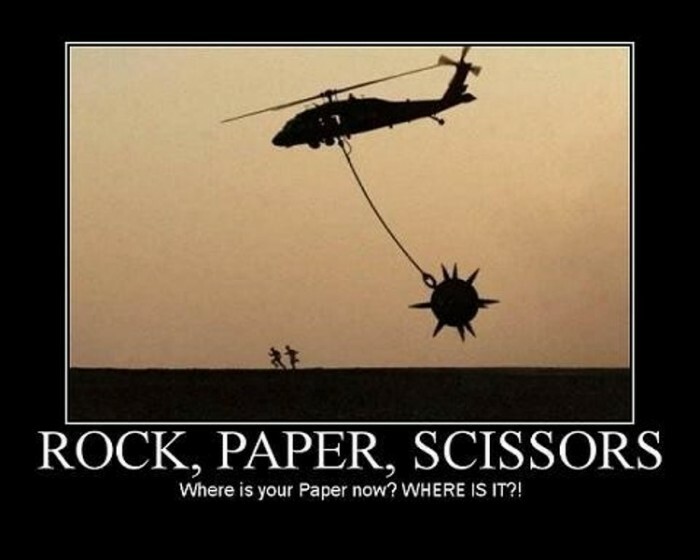 Where’s your paper now? WHERE IS IT?! It’ll annihilate that wimpy SPORK too. I wish I wish I was the pilot of that thing (and I knew how to pilot a helicopter (with a giant spiked wrecking ball attached to it)).